I asked on Twitter today if anyone was hosting a day-after-Thanksgiving readathon because I have some books I want to get to before the December holiday season and luckily my need was fulfilled by Jenn of Jenn's Bookshelves. 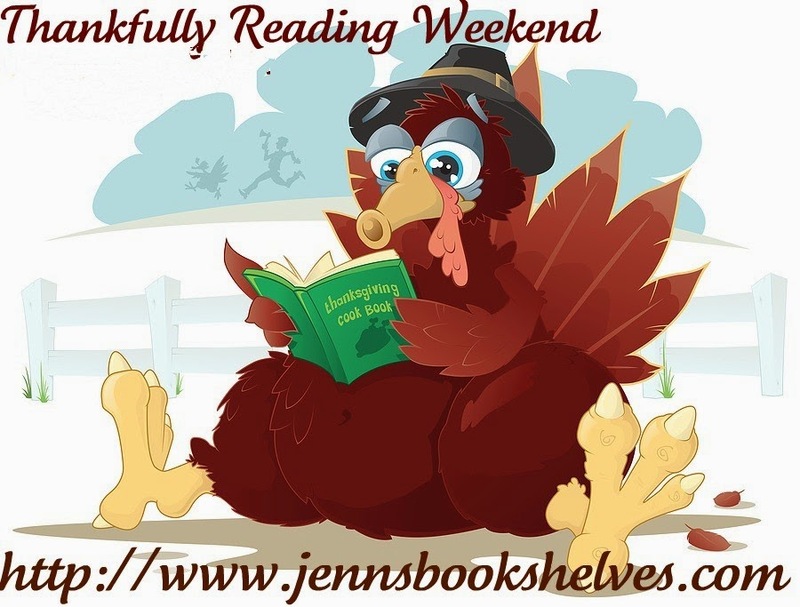 She is hosting the Thankfully Reading Weekend from Thursday through Sunday of Thanksgiving weekend. There are no rules to the weekend, we’re simply hoping to devote a good amount of time to reading, and perhaps meeting some of our reading challenges and goals for the year. We thought it’d be fun if we cheered each other on a bit. First, I want to read all of these beautiful little Penguin Christmas Classics to get me in the mood -- A Merry Christmas & Other Christmas Stories by Louisa May Alcott, The Nutcracker by E.T.A. Hoffmann, The Night Before Christmas by Nikolai Gogol, A Christmas Carol by Charles Dickens, and Christmas at Thompson Hall & Other Christmas Stories by Anthony Trollope. I got these for review from and I definitely want to share them in a timely manner. I also want to start my next 100 Chapter Books Project read -- Little Women by Louisa May Alcott. I picked up this lovely Penguin Clothbound version used from Powell's (who would give one of these up willingly?!) and also downloaded the audiobook version from the library to listen to while I make brunch on Thanksgiving. And, finally, I want to read Advent by James Treadwell, which I received for review last year and just haven't gotten to yet. I'll read a little and listen to the audiobook on Thanksgiving and then read when I can the rest of the weekend. We are just celebrating the holiday with our little three-person family and I don't do Black Friday shopping so it's a great time for me to get through these books. If you would like to join in during any of the weekend, just head over to the event page and sign up! WHAT a good idea. I don't go shopping on the day after Thanksgiving, and reading seems like a good plan! LOVE the looks of those Christmas editions! Yes, all of our parents (and extended family) live in other states so when we stay home we get to have nice quiet holidays. And the Christmas editions are gorgeous, tiny giftable books. I'll write a post just for them once I've read at least a couple! What a lovely holiday weekend reading plan! I do look forward to a time when I can manage to do a readathon...I'm always pulled in too many directions to feel like I can commit to such a thing. I couldn't do them when Z was little but now he is pretty self-sufficient ... and I can usually get him to join in for a while! I never know how much I'll actually read but it's a nice reminder to get off of the phone and the computer and to get my hands back on a book. Look forward to seeing your post about the special Christmas editions.